Shorter start-up times are achieved for new machine control systems thanks to the flexibility of the training. Photo: ANDRITZ SEPARATION. 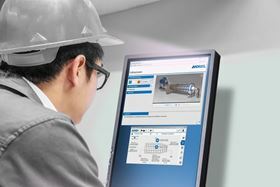 ANDRITZ SEPARATION has developed a new, computer-assisted tool for operator training to maximize machine and process performance with a minimum of training time. ANDRITZ SmartSIM is to train operatives in new machine control systems or benefit from additional training. It is available for various models of solid/liquid separation machines and systems with a Metris addIQ control system. The aims of the software is have highly trained operators making fewer operating errors, therefore reduced downtimes and lower maintenance costs. The tool includes a computer-assisted classroom training course, which can be used at any time without affecting actual plant operation. Using the original operating interface, trainees have the opportunity to control a ‘digital twin’ of the machine, including the individual parameters of production operations. In the course of the training, participants learn, with professional on-site support from Andritz, how to run the machine, respond properly to alarm situations, and improve the performance of the machine or the process. At the end of the training course, every operator is able to respond to real-life operating challenges and achieve certification level.